Paperwalker: Motorbirds Illustrated: Smashing! Bird-Controlled Cow-Robot Jet Air Bike! Motorbirds Illustrated: Smashing! 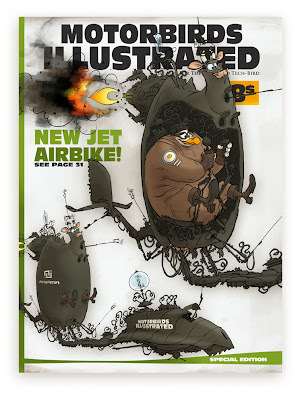 Bird-Controlled Cow-Robot Jet Air Bike! The hidden truth about Branda! O teu trabalho é muito legal e criativo, parabéns! Ankama? Are with them now? Cool! Very cool, interesting and beautiful! Very cool bike =) Florian, what typeface you use in motorbirds illustrated? Cheers morZe! :) Typeface: "Incised901 Nd BT"